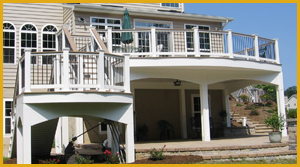 Mid Atlantic Deck and Fence Co. Inc. is one of the only deck and fence companies in Maryland that custom designs, builds and installs all of our own decks, fences, pergolas, pagodas and gazebos. Because we are a manufacturer/installer of fine vinyl products, it gives us unlimited design capabilities to create unique ideas for vinyl fencing, vinyl pergolas, vinyl railings etc. Many of our designs are used in our low maintenance decking and fencing projects, as well as our other outdoor living solutions. 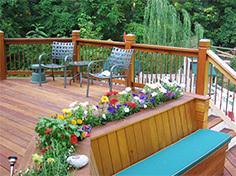 These are just a few of the design ideas we use to make your deck and fence the talk of Maryland. Wood fences and wood decks have been a favorite of Marylanders for many, many years. 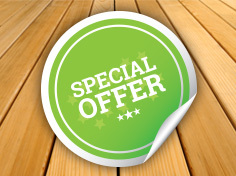 The availability of pressure treated Southern yellow pine, Western red cedar, IPE (Brazilian hardwood) and Mahogany, to name a few, give you the opportunity to make an educated decision about what product would best suit your needs, fit your budget and compliment your home. 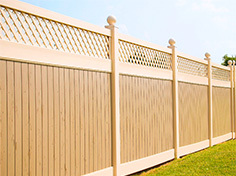 As you go through the site, we will also be discussing other services we offer including ornamental aluminum and steel fences and their benefits. We also offer a section on proper maintenance of your decks and fences including cleaning, sealing, and general care and maintenance of your outdoor environment. 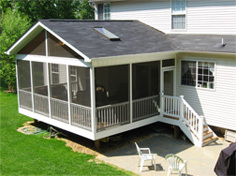 Mid Atlantic Deck and Fence Co. Inc., looks forward to helping you any way we can to help you make your dream a reality.